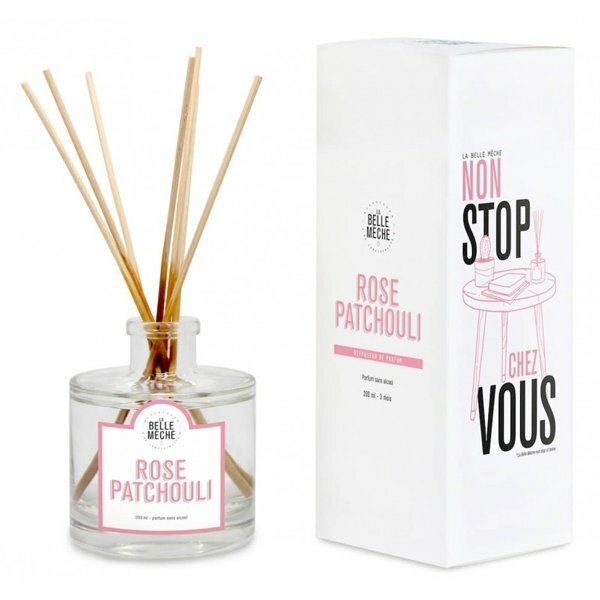 La Belle Mèche Rose Patchouli Diffuser is a heady oriental and sensual scent blended with notes of santal and patchouli for an intimate evening. Perfect gift for a woman or a man. La Belle Mèche Reed Diffusers are made with scents from Grasse, the world capital of perfume. A long lasting and subtie diffusion of your favorite scent. Alcohol free base. Insert all reeds on the opened bottle or half of them for a lighter diffusion. Flip the reeds every week to re-perfume the room. The fragrance will diffuse slowly through capillarity until complete evaporation. For small to medium spaces.